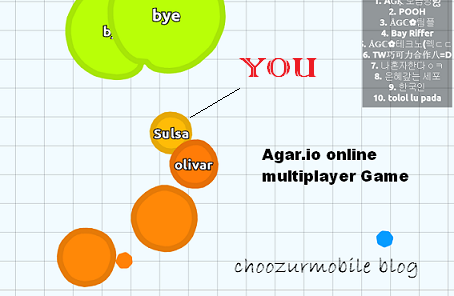 Agar.io - Strategic Android Multiplayer Online Game. Best Tips Tricks! Your aim is to float around the map in Agar.io game. A simple but heavily strategic multiplayer game recently developed by Matheus Valadares. All you have to do is to gain mass by eating smaller cells and staying away from bigger ones. Various types of style cells are available depending on how user customizes them. e.g. using national flag design. Pallets are scattered on the map and swallowed by the cell's mass around. Cells are the real players - user as well as others. Only smaller cells can be swallowed and they are faster than heavier ones. Cells lose mass gradually all over the play, to stay alive they need to eat other cells. Viruses split bigger cells into pieces. Cells can hide behind green colored viruses which are bigger in size. This game is a reminder of Osmos HD. 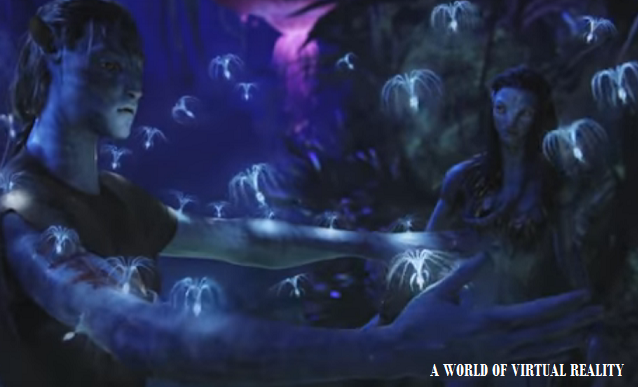 The main premise of the game is to survive and become the biggest cell on the board. The basic advantage of the Agar is it is online multiplayer game. So there are real participants always present. The game is very easy to understand and play. The game can run on many devices as it's designed is pretty simple but very attractive. Its limitations include an internet connectivity. Being fully online game you may lag the speed depending on your server connection. agariohack.net has created an excellent hack to lead the game easily. All you need to do is to create your special bot using a widget. You need to download and activate hack within 15 minutes to access it properly and then you can use it for an unlimited period. Firstly choose any server. Right-click and select "Inspect element" or press F12. This way you can connect to a specific server and play with a specific group of your choice. Tip2 - You can also try this! 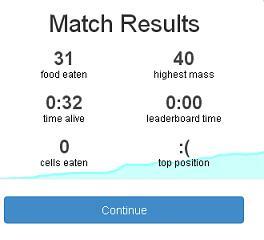 Paste below string while you stay on Agar.io site. It will prompt you to enter the server IP. Add it without 'ws://'. Mostly this trick works well. Enjoy the game and join friends any time while you online. Hide behind the green virus to stay safe. As long as you are smaller than virus cell, nothing can happen to you. When you grow in Agar, your speed gets slower. To eat other cells faster, you need to split into two and move properly. Always keep moving. If you stop at a moment note that you are constantly losing mass in the game. Don't risk in splitting for greed while bigger mass is running around you. Agar Skins - You can choose from attractive skins but not in Team mode. You will need to assign the particular skin name to use it. Shoot a Virus - You can shoot a virus in the form of a small mass of your own in the direction you are pointing. Repeat firing creates a virus after 7 shots. Use it wisely because you will lose considerable mass in this process. Split to eat faster - If your enemy is much smaller, you can split and reach them faster. Be careful - you may be attacked by an immediate bigger enemy. Change controls - If you wish to change the controls there are options available. While on the smartphone you can set "stop on release" - if you turn it off, a blob will keep on moving. You can also choose "direction on touch" option. It will certainly boost your gameplay. You can also change the button positioning in the map. If you have any other tips and tricks do comment below for sharing with others!